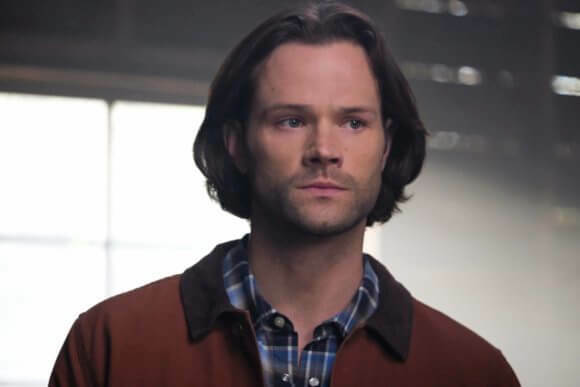 Supernatural Season 14 Episode 11 Recap: "Damaged Goods"
Supernatural hardly ever lets plot thread hang for too long, and “Damaged Goods” brought some closure to the story of Nick (Mark Pellegrino). While season 14 episode 11 was far more sedate than the fast-paced episode the previous week, we saw plenty of relevant happenings going around. When last we saw Nick, he had completed his turn for the worst, and this episode kicked off with Nick torturing a demon of all beings – the guy didn’t take long to enter the big leagues. Nick gets the demon to reveal the location of Abraxas – the demon who had killed Nick’s wife and son – and who was the last one to see Abraxas? That would be our own Mary Winchester (Samantha Smith). Mary’s entry in the episode doesn’t go down solely because of Nick’s pursuit of her, however, as Dean (Jensen Ackles) has his bags packed to stay at the cabin (remember when Mary and Bobby had shacked up a few months back? ), while also having plans to visit Donna as well – seeing as the cabin belongs to Donna. As Alternate Bobby is still coping with the loss of his son, Dean has sights towards a mother-son weekend. How things start off, though, is with Dean asking Sam (Jared Padalecki) specifically not to accompany him. Considering these two never do stuff without each other, Sam senses something is off with his brother – an idea cemented when Dean makes sure to hug Sam very lovingly before leaving. Sam feels it’s weird because they never hug (he obviously doesn’t know the fandom keeps each hug he and Dean have had on record) and calls Mary to let her know things don’t seem right. For once, Mary shows some concern for her son and agrees to keep a look out for strange stuff when Dean’s there. We get treated to a sweet scene where Donna (Briana Buckmaster) and Dean enjoy “the best burger in the world” and the former brings Dean up to speed over the happenings of the Wayward Sisters: they’ve been up to monster-hunting training and making tremendous progress – something we definitely would’ve seen for ourselves had the spin-off been commissioned. Dean leaves once Donna tries to talk about Michael being stuck in Dean’s head – Sam seems to have no problems talking about these things with Donna, it seems – and arrives at the cabin to meet his mom. After convincing his mom to make him a meal called “The Winchester Surprise,” something that’s supposed to be a heart attack on a plate, Mary heads off to the store for groceries. Our pal Nick is nearby and tries to ask Mary’s friend Joe (Dion Riley) of her whereabouts. Joe, unusually smart for a Supernatural character, doesn’t betray Mary’s trust and lets Donna know some creepy guy in a van was asking around for Mary. Donna manages to locate Nick and restrain him. But old Nick’s really learned some neat tricks and picks the lock; he escapes by using a taser on Donna and searching her phone to find out Mary’s location. Meanwhile, Dean’s up to building something in the cabin’s shed, which we aren’t shown. Once Mary arrives, Dean attempts to distract her by volunteering to help her prepare dinner. Mary isn’t fooled and lets Sam know – but what do we have here? Sammy’s already in the car and on his way to the cabin. While Mary and Dean eat, he lets her know how he had struggled to protect Sam while they were young and Mary-less. Mary tries to make up for lost time and attempts to talk to Dean about Michael, but is turned down. Despite his obvious suspicious activity, Dean didn’t take any measures to conceal what he was doing in the shed, and Mary sees what Dean has prepared inside. Before she can do anything about it, Nick shows up and whisks her away. Dean catches on to her disappearance too late, but Sam arrives to join him. Nick interrogates Mary about Abraxas in his van and we find out Mary had him trapped in an Enochian puzzle box – because reasons. Just like John had a storage space for all his freaky things, it appears Mary also indulges in places like those and leads Nick to her storage unit. Because Abraxas needs a host, Nick decides to kidnap a nearby security guard (it’s kind of ridiculous how this guy is so good at the thievery at murder). After a pointless scene where the Enochian puzzle box, well, puzzles Nick, he simply drills a hole in it to release Abraxas and the demon possesses the poor security guard, while confined to a demon’s trap. We cut to Dean scolding Sam for letting Nick run wild, while the younger Winchester argues having compassion isn’t a bad thing, and he was letting Nick be free because he could relate to being Lucifer’s vessel. But Dean simply tells Sam that some people are just past the point of saving. Abraxas tells Nick he’ll only reveal why he killed Nick’s family after the latter takes Mary’s life slowly, only for Nick to readily comply. Before this can go down, Sam, Dean, and Donna arrive. Nick stupidly breaks the demon trap and Abraxas performs some of the usual flinging around mojo countless other villains have doled out to our heroes. He then finally reveals why Nick’s family was killed: Lucifer ordered Abraxas to do it. But here’s the kicker: Nick wasn’t specifically chosen at all. Apparently Abraxas picked his name out of random from a phone book. Yikes! Nick catches Abraxas off-guard and drives an angel blade through him (and everyone forgets the poor, unwitting security guard also dies with Abraxas), thereby completing Nick’s revenge. That doesn’t exempt Nick from the heroes, though, and Donna shoots him to submission. Outside, Sam looks at Nick in disgust and tells him he would’ve gladly helped Nick solve his family’s murder had Nick just asked. Nick doesn’t care and tells Sam he didn’t want to be fixed because “(he) was never broken”; basically, Nick’s just a rotten guy in general. Sam shoots back that he doesn’t feel sorry for Nick but for the people whom Nick murdered or got killed in the name of his revenge. In uncharacteristic fashion, Sam tells Nick “you can burn,” as Donna takes him away. Mary tells Dean she knows what he built in the shed and that he needs to tell Sam. In the final scene, we see that Dean had been crafting a box that he’s warded against archangels in particular. Turns out, Billie showed Dean the one scenario where Michael wouldn’t take control of Dean’s body, which is for Dean to lock himself in this box, along with Michael, and spend eternity at the bottom of the ocean. Dean says Michael is going to get out of the confines of his mind and before that can happen, Sam can either let him complete the box alone or help him make it. Understandably, Sam is against the whole thing, but Dean adamantly tells him it’s happening one way or the other. That’s all it takes for now to convince Sammy, and he agrees to help Dean. This was an equally great episode as last week as we saw some character development come from Mary, who finally showed care and concern for her children, something she hasn’t done at all in the two years she’s been regular on the show. The best part would be how Nick’s turn for the worst has been handled. We haven’t felt the loss of Lucifer because of Nick taking over the reins as the villain, and he’s been a malicious delight to watch. Finally, Dean’s plan is pretty silly, but when have the Winchesters ever been smart about their problems? It seems like the show is headed toward an arc that will be something like when Sam had agreed to seal himself with Lucifer in the cage in season five, but the remaining episodes will tell how this plays out. We still have to see how Castiel and Jack will react to this development. If the last two episodes are an indication, Supernatural will have more ways to surprise us pleasantly.